Ideally, I’m sure that we’d all like to have workplaces that are completely free of conflict. We may have dreams of an organization full of people who get along all the time, always acting harmoniously. 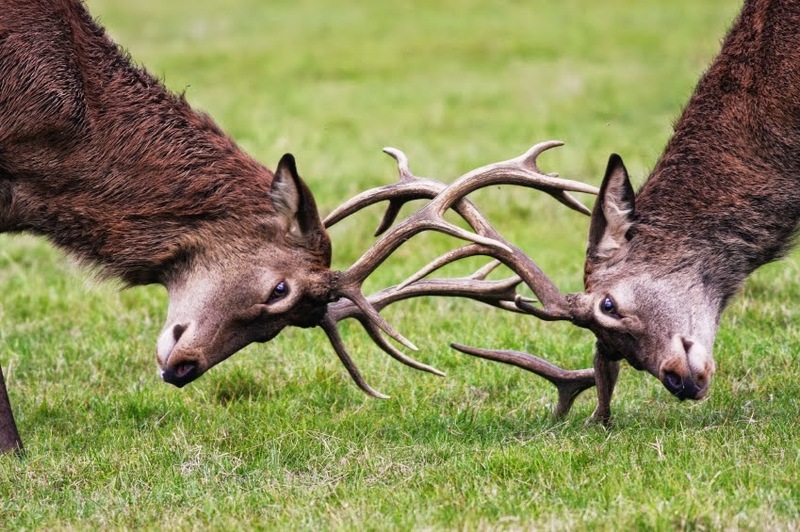 How do we handle conflict when it arises personally or between people we lead? Do we ignore it? Do we feign niceties to create the façade of harmony? Do we aggressively defend our position? Do we allow our people to do the same? Effective leaders who truly care about their people and achieving excellence take a different approach. 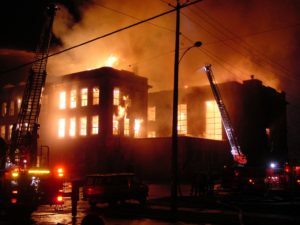 This article originally appeared on the Huffington Post. To continue reading, please CLICK HERE. For years now, Google has offered a mindfulness-based program, called Search Inside Yourself, as a way to help some of the smartest, most talented people in the world perform even better and simultaneously increase their levels of happiness and well-being (which also has been shown to improve performance). The focus of the program is to improve emotional intelligence. 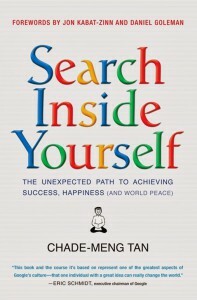 Search Inside Yourself creator, Chade-Meng Tan (known as Meng), is an engineer by training who decided to reverse engineer high levels of performance. He knew that emotional intelligence has been shown in numerous studies to be the single greatest predictor of high levels of work performance and leadership ability (in fact it is twice as important as the next most important ingredients), even among tech employees (4 of the top 6 competencies of star performers in the tech sector are emotional competencies). He also knew that mindfulness practice is arguably the most powerful method there is for developing emotional intelligence. Armed with this knowledge, Meng, along with a group of leaders in the fields of mindfulness, emotional intelligence, and leadership development, created a mindfulness-based emotional intelligence training program. In Search Inside Yourself, Meng provides us all with access to essentially the same training that is provided to Google employees who go through the course on Google’s campus. He breaks the training down into three components: attention training, self-knowledge/self-mastery, and creating useful mental habits. Attention training, he says, is the basis of all higher cognitive and emotional abilities. We then use our trained attention to create a “high-resolution” perception of our own cognitive and emotional processes, which enables deep self-knowledge and self-mastery. Finally, to help us out while we’re training our attention and gaining self-mastery, he offers very helpful, evidenced-based tools for developing useful mental habits, like kindness. Although the summary above may sound a little technical, and Meng does cite quite a bit of scientific research to support claims made for the benefits of mindfulness, the book is extremely easy to read and very enjoyable. Meng is so logical, and he has an excellent ability to break down complex ideas into simple, step-by-step methods for practice. He also has a tremendous sense of humor. I found myself smiling a lot while reading the book, and even laughing out loud a couple of times. I highly, highly recommend this book. This is the best book on mindfulness I have ever read (I’ve read almost 100 books on mindfulness), and it is definitely in my top 10 favorite books across all categories. Search Inside Yourself has the power to help readers perform better and increase levels of happiness, and it just might help create the conditions for world peace. It has been said that influence is the foundation of leadership. I was recently reminded of the essence of influence and how to create it as I watched some rather magical balloons float up to the heavens. I was grabbing a bite to eat on the lovely terrace outside the Terrace Café at Shands Cancer Hospital here in Gainesville. It would be an almost 13-hour day at Shands working on our Kids Kicking Cancer program, and it was nice to just take in the view of the sky, the clouds, the trees, and the Fountain of Hope, all of which were in clear view as I ate my dinner. Suddenly, the view changed as I noticed two balloons floating up in front of me, only 20 feet away. I’m not sure if they were released intentionally or by accident. Maybe it was a bit of both. 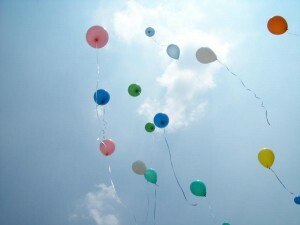 Almost as if the balloons were intending to do so, they headed over towards the windows of the patient’s rooms. And, as if to further give the impression that these balloons were somehow magical, a couple times they seemed to pause for a second or so as they floated in front of a patient’s room. I could only imagine how nice it must have felt for a person sitting in a hospital room to receive such a lovely gift – a magical balloon that seemed to be meant just for them, wishing that they be well. This is a gift that we can give each person we meet, which just might also be one of the most important things we can do as leaders, whether we have a title or not. Influence is the essence of leadership. If we are unable to influence the behaviors of others, then we are not effective as a leader. Some people still think fear is a good way to influence behaviors, but most of us know that it doesn’t work very well, and certainly isn’t sustainable. A very effective way to build our influence is to show people that we truly care about them. When people know that we are committed to their well-being and success, they are much more likely to follow us. You definitely don’t need a title to attract people to you when they feel good in your presence. I believe that this is the essence of truly great leadership. What question are you asking in your mind when you approach another human being? Have you ever noticed how truly great people have an incredible ability to make you feel as though you are the most important person in the world when they interact with you? One of the most important things we can do to dramatically improve our success as leaders is to cultivate the ability to make other people feel important. Over the last three years, I’ve spent a lot of time at Shands hospital at the University of Florida, working on our Kids Kicking Cancer program. Every time I walk the halls of the hospital I am both surprised and amused at how few of the staff members make eye contact as they walk by. These people are looking at my ID badge instead of at me. When we look closely at our mental habits, we can see that we’re constantly labeling and classifying the people around us, aren’t we? She’s the grumpy, middle-aged, mailroom lady… He’s the overweight, arrogant, sales guy… She’s the flaky, new-age, granola bar-eating, receptionist… The mind is always doing this, isn’t it? If we want to build influence with others and improve our effectiveness as leaders, we need to work at transcending this habit of mind and improve our ability to simply see other people as fellow human beings who ultimately want what we want: To be happy. A great first step is to make the habit of always making eye contact with people walking by, smiling, and saying, “Hello.” If this becomes a habit with strangers, it will become a habit with people we work with as well. While at work, we should greet people by name. If we don’t know their name, we should learn it immediately. Once we become more comfortable making eye contact, smiling at, and greeting everyone we walk past (everyone possible anyhow), we’re ready to take it to the next step. As we’re walking around, we can mentally wish, “May she/he be happy and well,” for each person we see, whether or not she/he makes eye contact with us. Wishing people happiness helps us with the next practice, which is cultivating genuine interest in others. When we’re genuinely interested in other people, we ask a lot of questions and do a lot of listening. We look for and comment on the positive we see in people. People often say that great leaders have charisma, which is defined as “compelling attractiveness or charm that can inspire devotion in others.” Practicing these three ideas gives you charisma. Nothing is more attractive or charming than caring for and being genuinely interested in others. Do you ever feel as though people only see your label? Who do you know that really sees you and is interested in you? Thanks for reading this post! As a gift, I’d like to give you this excellent eBook for FREE! 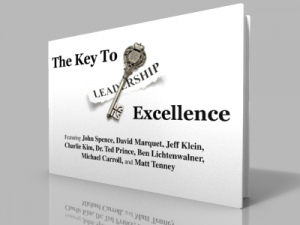 CLICK HERE to learn more about the eBook, featuring chapters from John Spence, Jeff Klein, Charlie Kim, Michael Carroll, Ted Prince, David Marquet, and Ben Lichtenwalner. As a bestselling author and Executive Vice President of Organizational Effectiveness at Chik-fil-A, Mark Miller learned over the years that only 10% of leadership relates to skills. 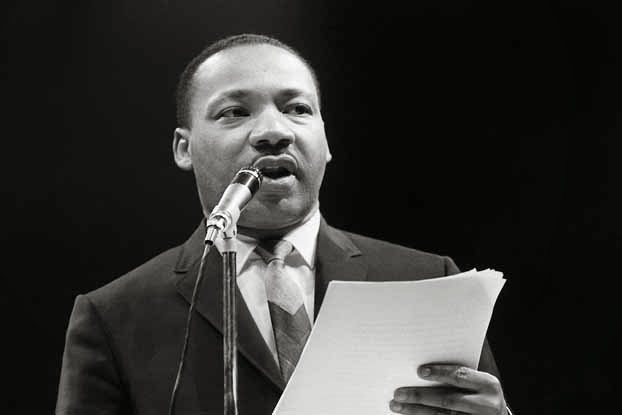 He realized that 90% of leadership is a function of the leader’s character, and there are five key elements of character that make leaders different. In this interview, Mark identifies what sets leaders apart from the crowd by discussing some of the key concepts in his new book, The Heart Of Leadership: Becoming a Leader People Want to Follow. We often think of great leaders as being those people that can get up in front of a group and inspire them with their words. This may be effective in the short term, when the group is new or the leader is new. 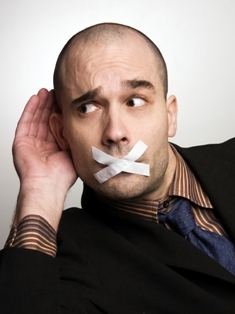 But leaders who excel over the long term know a simple secret that is quite contrary to the popular leader archetype of being a dynamic speaker. Applying this has been very challenging for me. My natural of way relating to others is this kind of arrogant belief that I have all the answers, and I can help everyone by giving them those answers. From this basic starting point, I naturally tend to want to listen very little so I can get on to telling people what I think. Do you ever notice this in your own life? During my time living and training as a monk, one of the practices I took on was to talk very, very little. The general practice was to speak only to greet people and ask them questions about themselves. I would not say anything about myself or state any opinion or view unless I was directly asked to do so. Do you listen first? What are some tools you are applying to be a better listener? CLICK HERE to learn more about this eBook, featuring chapters from John Spence, Jeff Klein, Charlie Kim, Michael Carroll, Ted Prince, David Marquet, and Ben Lichtenwalner.